A journalist recently asked me why it’s taken so many years and a dozen or more novels to get round to writing horror. The answer is that I never really needed to do it till now. I had a subject – the strangeness of small towns – and I needed a way of writing about it. I could have done a literary novel with a broad canvas and lots of subtle twists and turns (or at least I could have tried) – but that wouldn’t have captured the sense of threat and alienation that I feel in those places. So I tried a horror story – and that did the job. Of course people in quaint English coastal towns don’t do the disgusting, deadly and illegal things that are depicted in Grim, but I always feel as if they could. I’ve turned my hand to a few different genres in my time – erotica, chicklit/blockbuster, literary fiction – and one thing I’ve learned is that each genre does a fundamentally different job. Erotica has one obvious purpose: to turn the reader on. Literary fiction engages the mind and the feelings through the exploration of character. Horror should scare – and, most importantly, should make the reader see the potential for strangeness and fear in apparently mundane things. That’s what I needed to do in Grim. I wanted to make people walk down the streets of small towns and think ‘Hmmm, that fat, depressed-looking goth could be a cannibal’ or ‘that sweet little gran in the teashop could be a plaything of Satan’. After spending a lot of time on the north Norfolk coast, where Grim is set, that’s how I started to feel. It’s about being a fish out of water, about feeling like a misfit in an essentially hostile environment. The horror novels and films that I like are the ones that use fantasy and gore as a way of exploring everyday life and communities. I don’t like horror that is just violent and disgusting for its own sake, and I don’t like total fantasy. It has to be rooted in reality, and it has to acknowledge the essential ridiculousness of the paranormal stuff. That’s why I revere Stephen King, because his subject matter is always communities, not evil clowns/special powers/aliens etc. King no more believes in this stuff than I do, but he uses the genre conventions like a surgeon uses a scalpel. 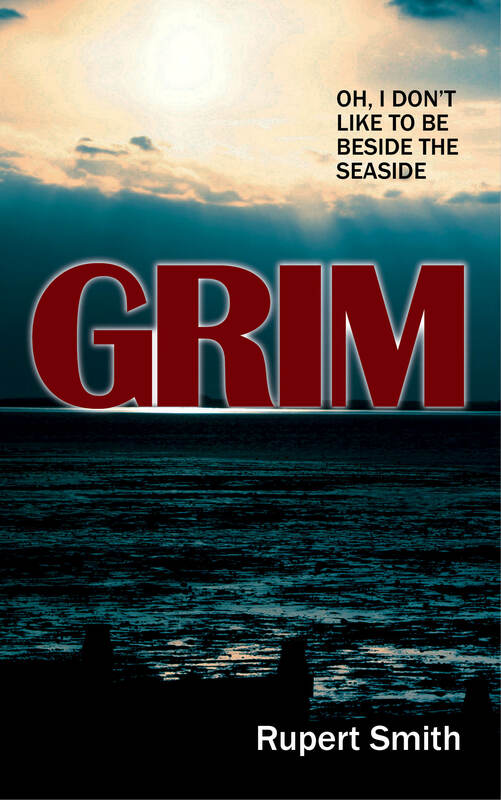 Grim is about two outsiders – a widowed American archaeologist and his strange, withdrawn teenage son – who come to the fictional English seaside town of Besselham to uncover the truth about their wife/mother’s death. Along the way they get involved in a teen suicide cult, witness the emergence of a prehistoric temple from the sea bed, and do battle with a bunch of very sinister locals. By the end of the story we’ve strayed a long way from its realistic beginnings, but I hope every step down the path of madness has a gruesome logic. And I hope, if you brave the terrible train service or wiggly A-roads that are the only way of getting to north Norfolk, that you will understand the weirdness under the surface that inspired me to turn to horror in the first place. 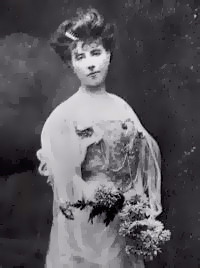 I just finished reading, more or less randomly, Enchanted April by Elizabeth von Arnim. Never read anything by her before, and knew next to nothing about her. WHY? Why on earth was this stuff never mentioned when I did my degree? Why has no one ever collared me and said ‘Rupert, you MUST read E von A, she’s a genius?’. It’s always nice to discover new stuff that you love, but I’m baffled that she should have passed me by for so long. Enchanted April is not only a beautiful, funny and inspiring story about the healing power of love and nature – it’s also written in a prose so fine and so polished it took my breath away. I have a suspicion that von Arnim’s been overlooked because she was a popular novelist, adapted by Hollywood, writing ‘women’s books’ that (in this case at least) have happy, positive messages. I don’t have a feminist drum to beat on this occasion – I leave that to the likes of Lily Allen and Miley Cyrus – but it blows my mind that she’s not mentioned in the same breath as James, Conrad et al. I shall obviously be reading more. I hope it lives up to Enchanted April.